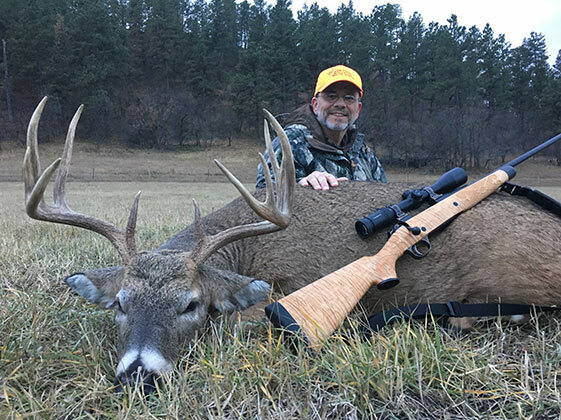 Bill L.'s went hunting with Rough Country Outfitters and Guides of Wyoming and took a fabulous 5x6 Whitetail with his Kilimanjaro Leopard Rifle in 6.5x55 Swede with a stunning Quilted Maple stock. In Bill's words, "The rifle performed flawlessly. What a joy to own and hunt with."